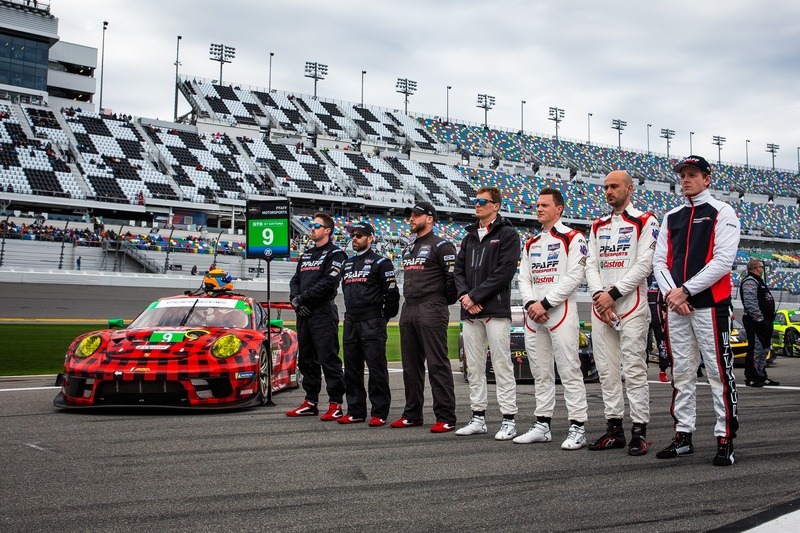 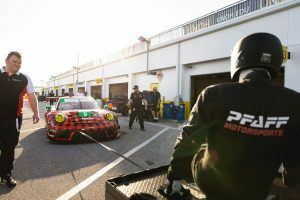 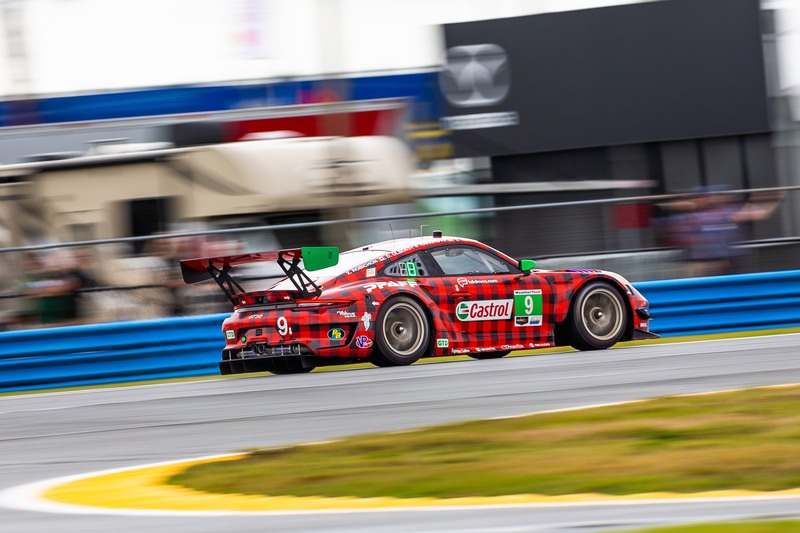 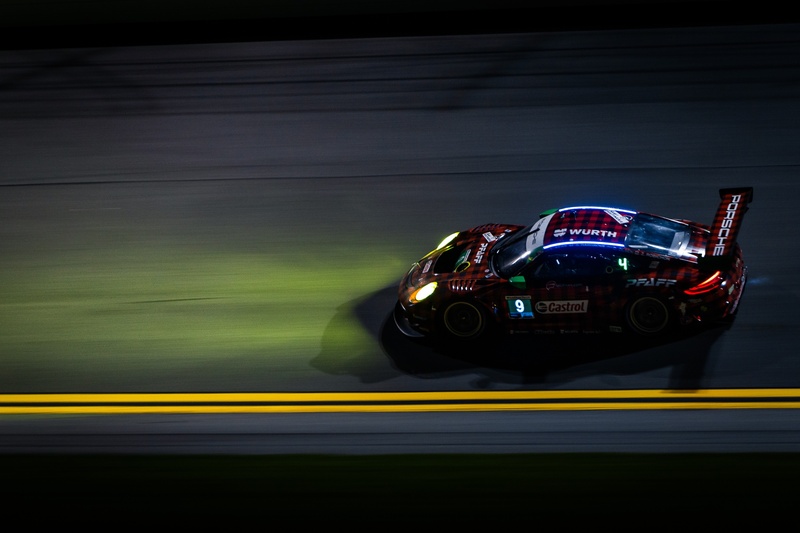 DAYTONA, January 28, 2019 // What began as a promising effort for the Pfaff Motorsports team at their inaugural 24 Hours at Daytona ended in heartbreak as the team suffered a collision in their Porsche 911 GT3 R in hour 19 under wet weather conditions. 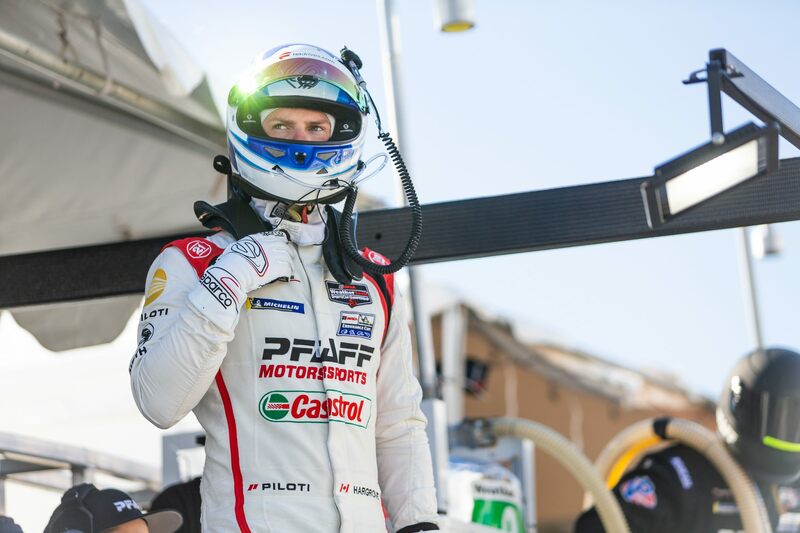 Starting from eighth position in the IMSA GTD class, the team fought hard, climbing as high as fifth position within the first hour of the race, and staying within the top 10 through the late afternoon and into the evening. 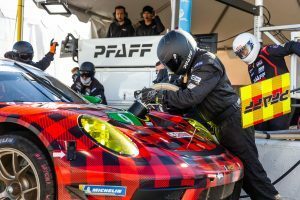 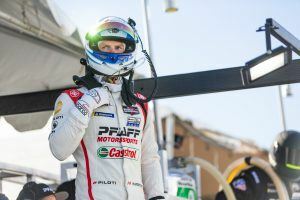 By midnight on Sunday, the Pfaff car was racing steadily in third position, just five seconds back from the class leader. 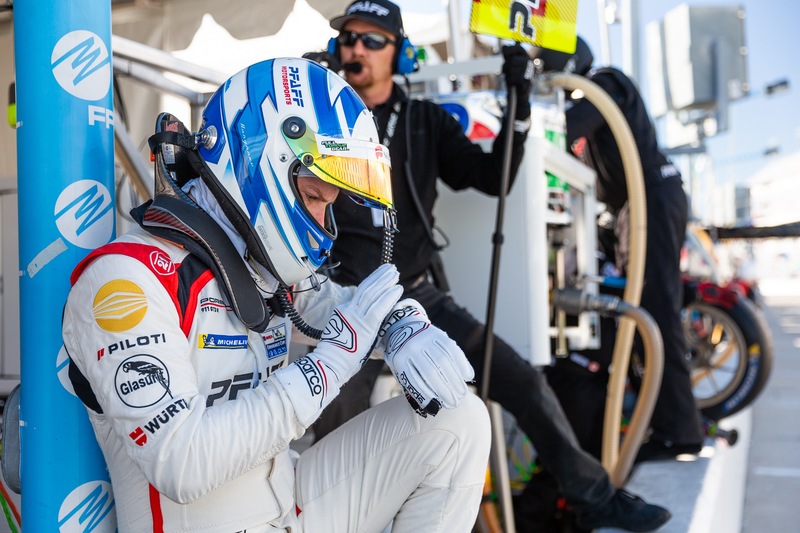 As the night wore on, technical issues from the team’s earlier practice sessions began to reappear, cutting power to the GT3 R’s headlamps and eventually the dash and shift indicators – at one point leaving Canadian driver Zach Robichon without any instrumentation during his stint. The issues resulted in unscheduled pit stops and an eventual trip back to the garage for repairs at the the halfway point of the race around 2:00 am. 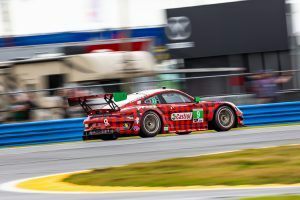 The team worked diligently to rectify the issues and was able to return to the track 20 laps down, and a combined effort between drivers Robichon (CAN), Scott Hargrove (CAN), Lars Kern (GER), and Olsen (NOR), pushed the car back up through the field with a top-10 finish in sight. 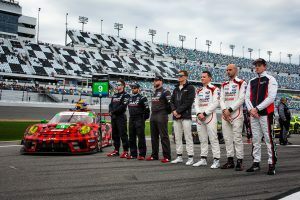 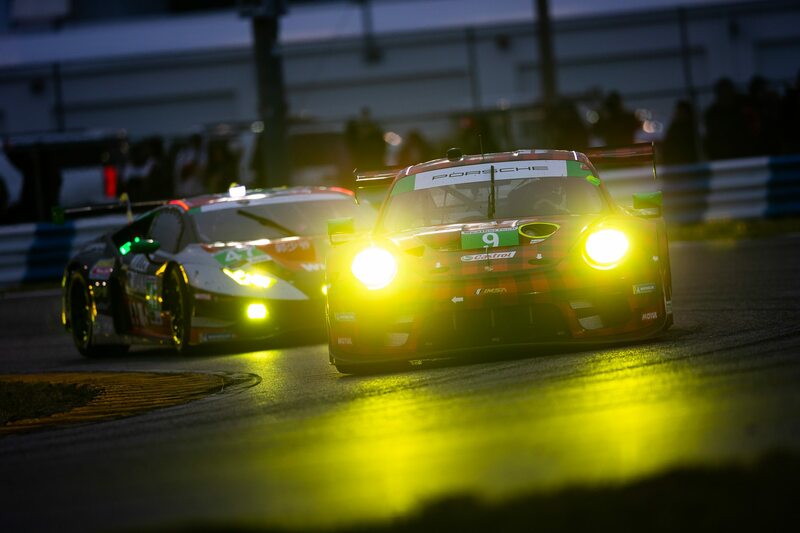 Daytona’s skies opened up with heavy rain at 4:00 am, and by 9:00 am, the race was red-flagged due to poor track conditions and low visibility, resulting in nearly one-and-a-half hours of stoppage – and the team still aiming to continue their strong pace through the field. As the harsh conditions continued, officials decided to resume racing with five hours remaining on the clock, with Hargrove jumping back in the car for a single lap before handing the reigns over to Robichon to get to his minimum drive time. As he entered the final high-speed straight in heavy traffic, a competing Lamborghini spun in the middle of the track, forcing traffic ahead of Robichon to dodge the slowed car – and leaving him with almost no time to react. The result was a race-ending collision as the GT3 R suffered major suspension damage. “There was spray coming from everybody around me, and we were all approaching so quickly,” Robichon said. 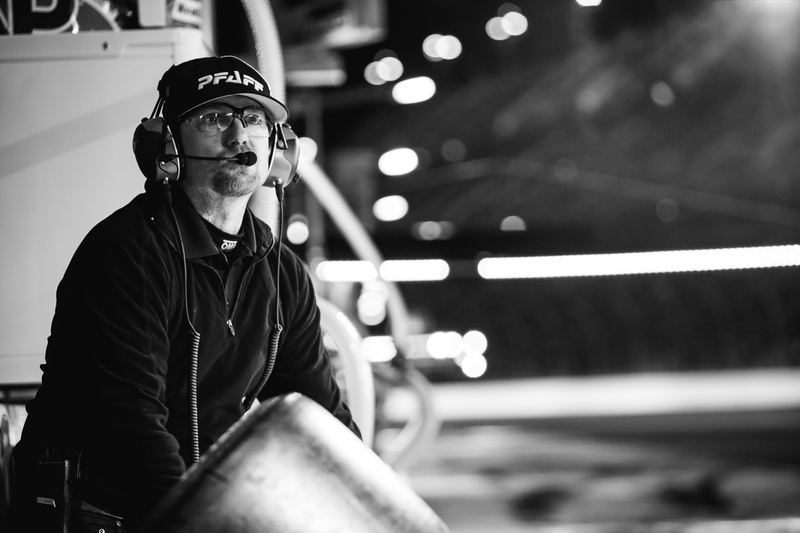 “I couldn’t see five feet in front of me around the back stretch, and then all of a sudden I see brake lights. 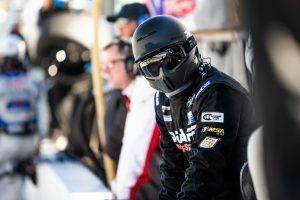 I jumped on the brakes to try to avoid it, but with the surrounding traffic, my choice was to either hit the prototype, hit the Ferrari, hit the wall, or go for a gap that I thought might be big enough. 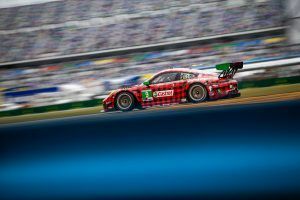 Unfortunately the speed was too high, and that gap was smaller than I’d hoped. The team is returning to Toronto and will begin repairs and preparations for the Sebring 12 Hours immediately, which takes place from March 14-17. 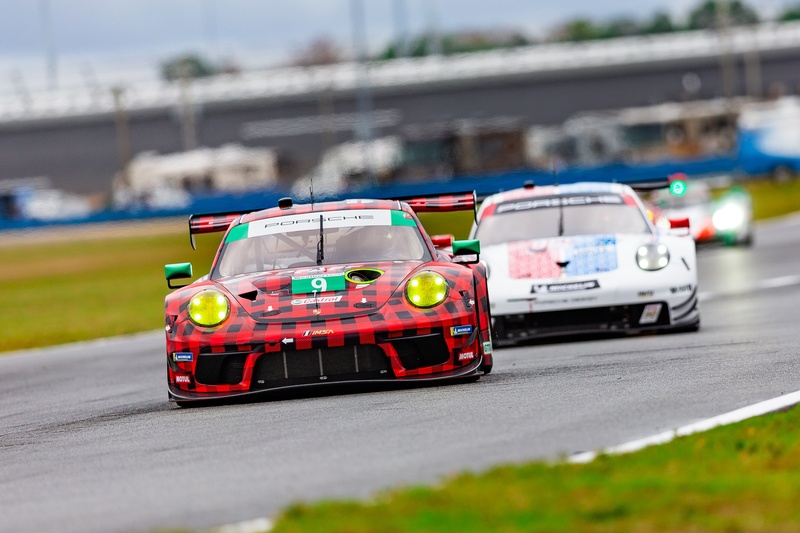 Dubbed the “SuperSebring” weekend, the IMSA WeatherTech series will race the annual 12-hour event, joined by the European World Endurance Championship (WEC) for its own 1,000 Miles of Sebring that same weekend, offering fans a unique opportunity to see the best of sportscar racing from around the world. 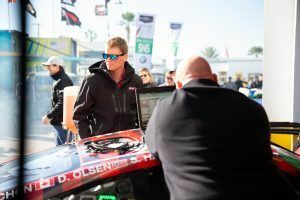 Canadian viewers will be able to view the action live on the Discovery Velocity channel, while U.S. viewers can watch the broadcast on NBC Sports. In addition, TSN will be airing one-hour shortened telecasts of IMSA races throughout the season in Canada.